BlueSky Personnel Solutions How strong is your employment brand? How strong is your employment brand? We live in an age where reviews and referrals reign supreme – we give these more credence than even celebrity endorsements. AdWeek has said, “A recommendation from a friend is the pinnacle of personalized, genuine marketing.” Why then, are so many companies not fully leveraging their employees as their strongest brand ambassadors? Why are the “careers” sections of websites so often, hidden in a bottom corner of a website? Why don’t we share, front and centre, what it is like to work at our company? Very few companies do that today. If a friend of one of your employees asked, “Why should I come and work for your company?” – how convincing would your employee’s answer be? While many people who are recruiting, complain about how hard it is to find people, Tim argues that it’s actually never been easier to find somebody than right now, given all of the digital tools we have at our disposal. This is the biggest myth about recruiting currently. This conversation begs the question: How strong is your employment brand? From a business standpoint, a Net Promoter Score (NPS) gauges the loyalty of an organization’s customer relationships, as it correlates to revenue growth. In essence, it measures customer experiences and predicts business growth. It asks the question: ““How likely is it that you would recommend our service to a friend or colleague?”From there, it identifies customers who are promoters (loyal brand enthusiasts), passives (those who could be vulnerable to competitor offerings), and detractors (unhappy customers who can damage a brand via negative word-of-mouth). Companies like Apple, Facebook, Dell and General Motors all use NPS to guide their work. Today, many organizations are also turning to the eNPS – Employee Net Promoter Score to measure how loyal employees are and how likely they are to refer their company to friends. Using such a metric can provide your organization with a baseline score from which to move forward. There are many things that can be done to strengthen your employer brand, from building a strong purpose-driven culture, and communicating transparently with employees across an organization, to creating the best candidate experience. You may even want to encourage your biggest brand advocates internally, to leave reviews (which are likely to be positive), on sites such as Glassdoor. Your online footprint is a critical area for prospective candidates too. For example, did you know, according to iCIMs’ Modern Job Seeker Report, 2017, 94% of candidates will visit a company’s social page during their job search? 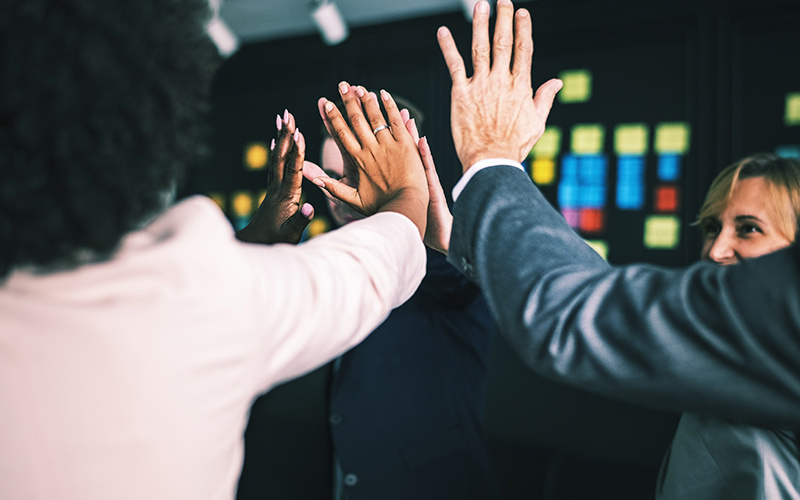 Here are a few examples of companies doing noteworthy things in the field of employer branding, where they are leveraging their greatest asset – their employees. We hope you find their examples to be as inspiring as we did! Shaunda Zilich, is GE’s Global Employment Brand Leader. She has put together a global employment brand council that has representation from various geographic regions and business areas. They offer brand ambassador training for any employees who want it, and also offer a train-the-trainer program. Click here for a full case study on this initiative. LVMH has put its “behind the scenes” experiences and its talent front and centre on its global website. They even share immersive “in-situ” tours of their various offices and warehouses, featuring shoemakers and seamstresses and media relations teams at work. SodaStream International’s recruitment video, “Join the Revolution” not only had some fun comedic twists, it also had crystal clear messaging rooted in their company culture – in that, they are looking for “rainmakers.” Their campaign was so attractive, it caught the attention of global media outlets such as CMO, and Forbes, which touted this case study as the future of recruiting talent. Incidentally, SodaStream was just acquired by PepsiCo a couple of months ago. 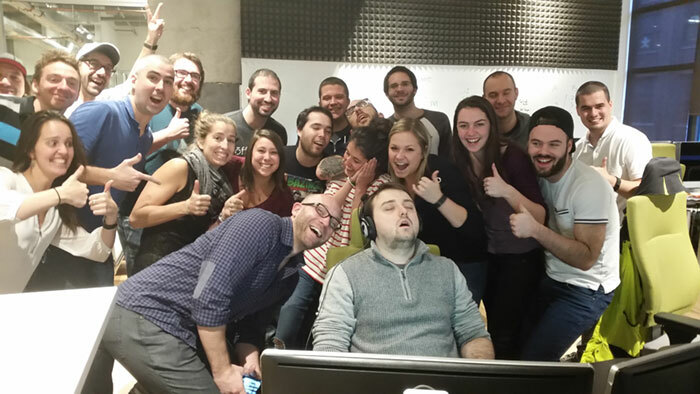 Last, but not least, we’ll leave you with this one example of a post that went viral when a tech start-up intern fell asleep on the job on his very second day. The Photoshop memes won’t soon be forgotten. Instead of judging him though, employees surrounded him and took this picture below (and he wasn’t fired). Wouldn’t you want to work with a fun team like this? The BlueSky Personnel Solutions team speaks to top Bilingual/French talent every day. If you are interested in knowing more about how your brand is perceived, and how we can help you recruit the right people for your team, contact us today at: 416-236-3303 or by email at: info@blueskypersonnel.com.